November 2nd in Free Plug-ins by Wordpress Jedi . If you happen to own a WordPress blog or portal, you wouldn’t mind getting as much traffic as possible. The social media is a great channel to go after traffic for your WordPress website. In order to truly make it big through the social media, you will need to work on your content as well. The more valuable your content, the better chance you have of going viral on Digg, Twitter, and other similar services. Let’s say you have worked on your content and have written a bunch of very useful posts. You can always hope for your readers to take the time to log on to sites such as Digg and submit your post by hand. But the better way to approach this is by giving your visitors an easy way to submit your blog to the top social media sites. I am sure you have seen how top sites such as Mashable go about the process. Wouldn’t be nice if you could do the same on your blog on every post? There is a plugin for that. Digg Digg is a cool little plugin that lets you add Reddit, Digg, Twitter, Facebook, and more to your website. That way you can give your readers a much easier way to tweet your content. I personally prefer using the compact button design on my sites, but you can stick with the normal design which is a slightly larger. 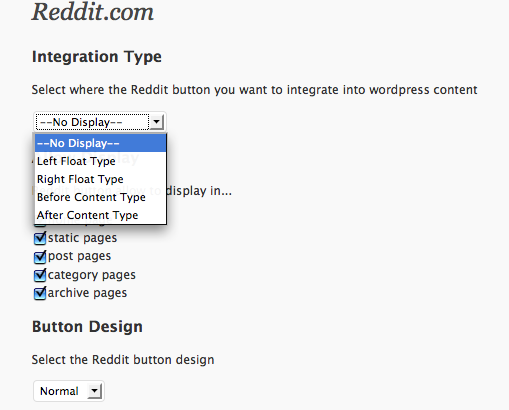 You can also choose which pages you want your social media buttons to show up on. I recommend not overdoing it, but that’s really up to you. What I like about Digg Digg is the fact that it makes it so easy to change the location of these buttons without having to write a line of code. 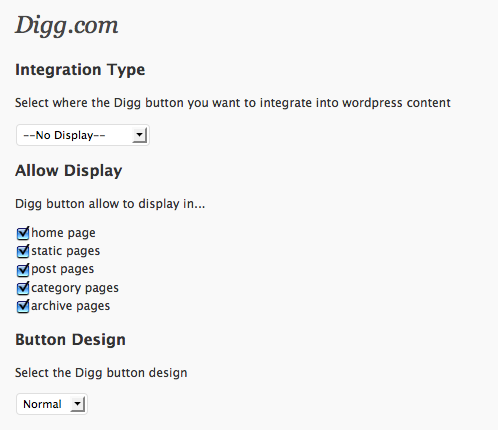 You can even customize the look and feel of your digg button from the back-end. All in all, if you are looking to give your readers an easy way to make your content go viral, using Digg Digg is a smart way to save time and effort and get the job done fast.